Rhode Island Treasurer Seth Magaziner announced "YOUR MONEY" a program which is mailing money to more than 35,000 Rhode Islanders who have unclaimed property with the state. "It's hard for families to make ends meet, and ever harder when banks, insurance companies and other corporations fail to send you money that is rightfully yours," said Treasurer Magaziner. "I developed YOUR MONEY to make sure as many Rhode Islanders as possible get their missing money back in their pockets where it belongs." About 1-in-5 Rhode Islanders have unclaimed property waiting for them. In the past, residents have had to check the state's database to see if they have unclaimed property and then submit a claim. 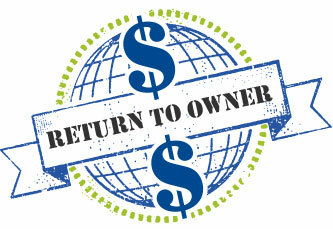 YOUR MONEY matches unclaimed property with known addresses so money can be returned automatically. "Most people don't even realize that they have missing money with the State until they check our database. This is YOUR MONEY and now thousands of Rhode Islanders will find out they have unclaimed property when they receive a check in their mailbox," said Treasurer Magaziner. The Treasurer's Office has identified 35,000 individuals with more than $10 million in missing money whose claims will be automatically processed in the 2017 holiday season. While YOUR MONEY will automatically match thousands of Rhode Islanders, all residents are encouraged to visit findRImoney.com to see if the state is holding unclaimed property that it rightfully theirs.